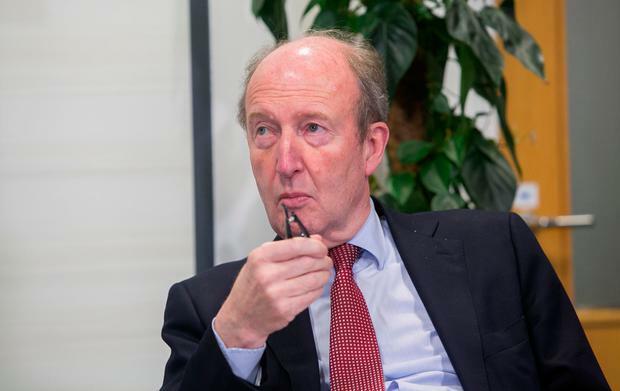 Shane Ross was forced to seek Fianna Fáil’s support on a vital Dáil vote, after Fine Gael TDs left the chamber to attend the Ireland v Georgia football match. The furious Transport Minister approached senior Fianna Fáil TDs and asked them to vote down an Opposition amendment to the Aircraft Noise Bill on Tuesday. However, Fianna Fáil’s Darragh O’Brien and Robert Troy said that their party had decided to abstain from the vote and would not change their position. “Ross said the Fine Gaelers have gone to Aviva for the match and he needed Fianna Fáil’s votes, but the Government was told earlier in the day that Fianna Fáil would be abstaining,” a source said. Only 29 Government-supporting TDs were present for the vote, which was lost by 34 to 29 votes. There are 49 Fine Gael TDs. The Opposition amendment significantly reduces the permitted sound decibel levels for aeroplanes landing at airports, and could potentially cause serious problems at Dublin Airport. It is understood the Government will seek to reverse the vote when the legislation goes before the Seanad. On Wednesday night at the Fine Gael parliamentary party meeting, Taoiseach Leo Varadkar reprimanded his Fine Gael TDs for losing votes. The Taoiseach warned that TDs should get ready to go to the country if they keep losing votes.